I wish my toddler would never scream again unless in mortal danger. This kid's shrieks are so piercing, someday they will make my ears bleed. And he screeches for the most insignificant reasons: Charlotte's humming is bugging him or someone looks at him the wrong way. I wish I looked like Kate Winslet. I wish my kids enjoyed vegetables as much as they adore popsicles. I wish I enjoyed vegetables as much as I love chocolate. When Tommy is running wild through church (screaming, of course) and I am most obviously harried, I wish people would refrain from saying, "Someday when your kids are all grown up, you're going to miss this!" While they might actually be right, their proclamations are not helpful at all. (And really, I doubt the veracity of their claims. I will certainly miss my kids and their youthful antics. The screaming or tantrums? Definitely not.) 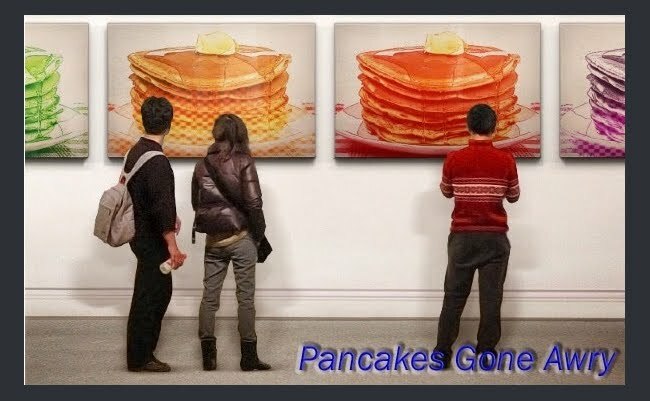 You know what would be helpful? Insisting on babysitting my three feral monkeys for a few hours so I can have a break. And my ears can heal. I wish I had a more extensive vocabulary. The longer I stay home with the kids, the more I say things like "dude" and "awesome" and "cool," rather than other more descriptive words I could use. And the longer I stumble over the most common word, like "shirt" or "swimming pool" and I of course keep forgetting the names of my kids. I wish LEGOs were cheaper and came with a little man whose sole responsibility it is to clean all those multicolored blocks up and keep them organized by color in a handy, stylish storage system. I wish instead of giving me loads of advice, as so many people feel compelled to do, they would tell me how admirable, saintlike, brilliant, and capable I am. 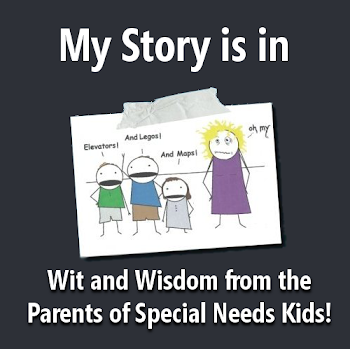 Check out Sprite's Keeper for more posts about wishes. I'm sure at least some of them will be far less frivolous than mine. I have two lucky winners to the Anti-Romantic Child give away! Note: Information about the give away is at the bottom of the post! 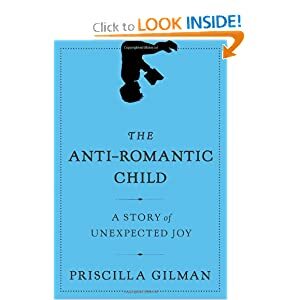 When I first heard about the book "The Anti-Romantic Child: A Story of Unexpected Joy" by Priscilla Gilman, I was intrigued. As an English major in my undergrad studies, I had especially enjoyed my Romantic Literature course. Unfortunately, I haven't spent much time reading poetry in recent years. 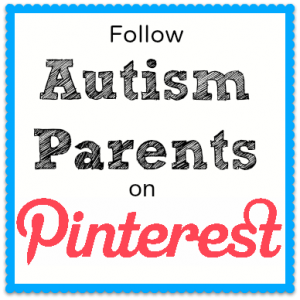 It seems I've been too immersed in autism and special needs books, magazines and websites. So imagine my delight in finding a book that combines those two worlds in one hard-to-put-down tome! Gilman, a Literature professor details her unrealistic expectations of having a child. She anticipated a childhood that mirrored Wordsworth's ideals and her own youth: romantic, imaginative, spontaneous and free, full of exploration, running, jumping and frolicking. The title refers to Gilman's son, the quintessential anti-romantic child. Unlike the definition of the word: "Imbued with or dominated by idealism, a desire for adventure," Benj was hardly adventurous. He did not quite fit his mother's expectations: he didn't romp and play, and he was most certainly not spontaneous. His speech was delayed, and he experienced many other developmental delays. Though not formally diagnosed with autism, Benjamin definitely exhibited many autistic traits, including being inflexible and needing a stringent schedule and a lot of direct instruction. Along with the stress of parenting a special needs child while working as a Literature professor, Gilman experienced a great deal of tension in her marriage. She chronicles the difficulties she faced, dealing with a man who was very much liker her son: inflexible, isolated and withdrawn. Of all the autism and special needs books I have read, I have never related so closely with an author and mother. Perhaps it is the shared love of literature or the romantic, if somewhat unrealistic, expectations we both seemed to have of motherhood. At almost every page, I found myself nodding in agreement, especially at the passages which describe Gilman's disillusionment. Though she fiercely loves her son and motherhood, she readily admits that it turned out to be vastly different than she expected, a sentiment that I think most special needs parents can understand. The Anti-Romantic Child is beautifully written, lyrical, realistic, and hopeful. I would have to say this is the most beautifully written book about special needs children that I have ever read. It is the story of one mother's love for her children and her journey towards letting go of those unrealistic expectations. It is the story of her total acceptance of her child as he is, rather than as she hoped he would be. And now for the great news: I have copies of this book to give away to two lucky readers. Here's how to enter to win! 1) Follow my blog and leave a comment on this post. 2) To get additional entries, post about this give away on your blog. Please be sure to send me the link, so I will know to enter your name in for a second time. The give away ends at midnight on Sunday, June 26th. Good luck! My wonderful son, Danny, was diagnosed with Sensory Processing Disorder over 5 years ago. Charlotte, my spunky, sweet 5-year-old was diagnosed with the disorder less than a year ago, and I am 99% sure that Tommy also has SPD. This is a dysfunction that affects my family on a very real and daily basis, and we are definitely not alone. SPD is estimated to affect one in 20 kids, but many experts agree that number is actually quite low. There is so much more research that needs to be done about SPD, research that can unravel the mysteries of this disorder which affects a kid's ability to learn and function in the real world. Families like mine need more research, more advances in the therapies and treatments for SPD. And you can help us get that research! This month the SPD Foundation is in the running for a $250,000 grant. This money will go so far in doing the kind of research necessary to help families and kids with SPD. Kids like my wonderful Danny, Charlotte and Tommy. All you have to do is click on this link and vote! You can vote every single day. In fact, I plead with you to do so! And please, please, please spread the word! They say patience is a virtue. I know it's one I've been desperately trying to teach my kids and learn myself. I tell them that patience is so important, that if they can learn to wait patiently, so many good things will happen. But, you know what? That's not the whole truth, is it? Many of you already know that I applied for a Pepsi Refresh grant in May. I need funding to start a LEGO social skills group for Danny and other kids on the autism spectrum in my town. Although this project has been very positive--I've had tremendous support from so many, many people--it has also been a serious test of my patience and my ability to wait. I applied for the grant in April and then had to wait to see if my project was randomly accepted to be voted on. I had to wait what felt like weeks. And then, once the voting started, I waited all month to see what would happen. Now that the voting is over, I have to wait until Pepsi audits all the projects to make sure no one cheated. In about three weeks, I should find out for sure whether I won the grant or not. So, more waiting. More patience. In these instances, waiting patiently IS a virtue, one that I must strive for or I might just lose my mind. On the other hand, if I really excelled at waiting, I might never have applied for this grant in the first place. One of the reasons I started this whole project was because I was tired of waiting. Since Danny was a toddler and diagnosed with Sensory Processing Disorder (and later with autism), I feel like all I have been doing is waiting. Waiting for months to get an appointment with whichever expert I needed to see. Waiting for those experts to hand down a diagnosis and a treatment plan. Waiting for therapists to fit me in their already overbooked schedules. Waiting for school staff to evaluate whether Danny needed a social skills group or occupational therapy. Waiting for the therapy to start working and waiting for new therapy equipment to arrive so we could change it up. You could say the last 6.5 years have been a study in waiting. But, I've run out of patience. I'm tired of waiting, which is why I jumped at the chance to start this social skills group. Imagine, I finally have the chance to make something happen without waiting for help from some expert or therapist. Once I have received the training, I will be the expert. I will be the one who helps my son. No more waiting. I still believe in patience being a virtue and I will continue to cultivate this trait in my kids, but I will also try to focus their impatience in ways that are productive. Because you know, I think there is a time for patience and a time for action. And for me, the time for waiting has ended. Now, I'm ready to do something. 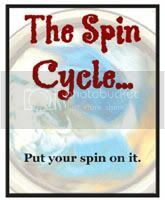 For more posts on waiting, visit the wonderful, generous Jen at Sprite's Keeper, because yes, you guessed it: The Spin Cycle has returned! I've been waiting for this day for months!